Murphy Business is one of the largest and most successful business brokers in North America. The Greater Orlando, Florida (FL) office is one of more than a hundred and eighty offices across the United States and Canada. The experienced business brokers at Murphy Business have owned or managed a business in the past. This first-hand experience helps to provide professional assistance whether you are looking for commercial real estate, a franchise opportunity, assistance with mergers and acquisitions or you are just looking for a business valuation. Murphy Business professionals offer assistance with all of your business broker needs. The Greater Orlando, Florida (FL) office specifically services the following locations: Orlando, Altamonte Springs, Apopka, Casselberry, Conway, Doctor Phillips, Goldenrod, Hunters Creek, Lake Mary, Lake Nona, Longwood, Kissimmee, Maitland, Ocoee, Oviedo, Sanford, St. Cloud, Tangelo Park, University Park, Williamsburg, Windermere, Winter Garden, Winter Park, Winter Springs, and all areas in Greater Orlando, Metro Orlando, Orange County, Osceola County, and Seminole County. 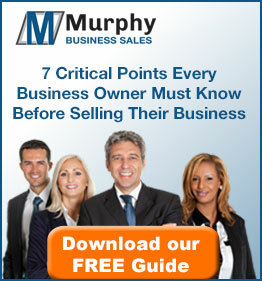 Let Murphy find you a qualified buyer for your business. The selling process starts with a business valuation, so you know exactly what your business is worth and helps set a realistic sale price. Murphy Business handles the confidential marketing of your business, qualifies prospects, completes due diligence and administers the closing process. Murphy Business valuations are performed by qualified, experienced professional appraisers and are in compliance with Uniform Standards of Professional Appraisal Practice (USPAP) of the Appraisal Foundation.